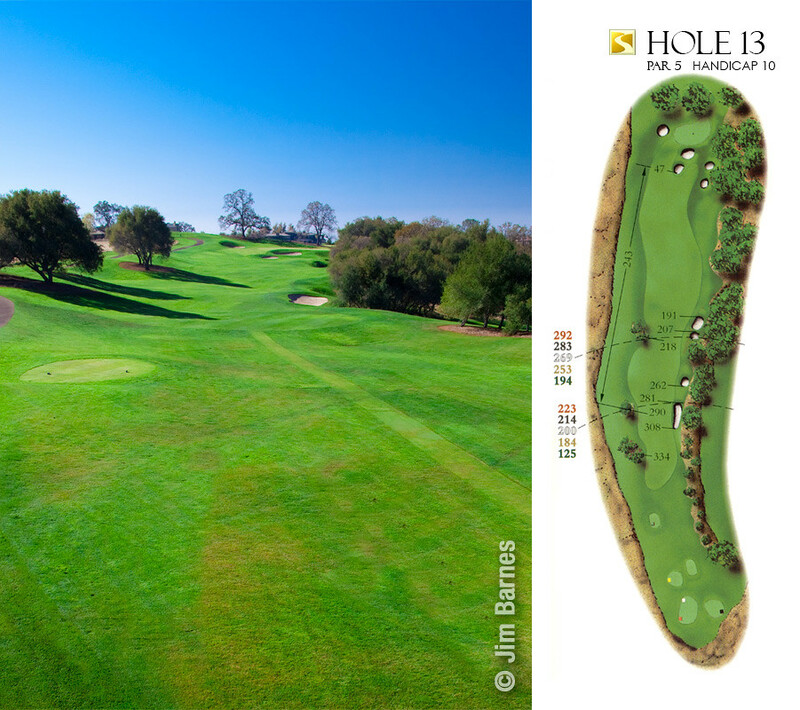 Country Club and its par-72 championship golf course, designed by Robert Trent Jones, Jr., provide the community’s primary visual focus. 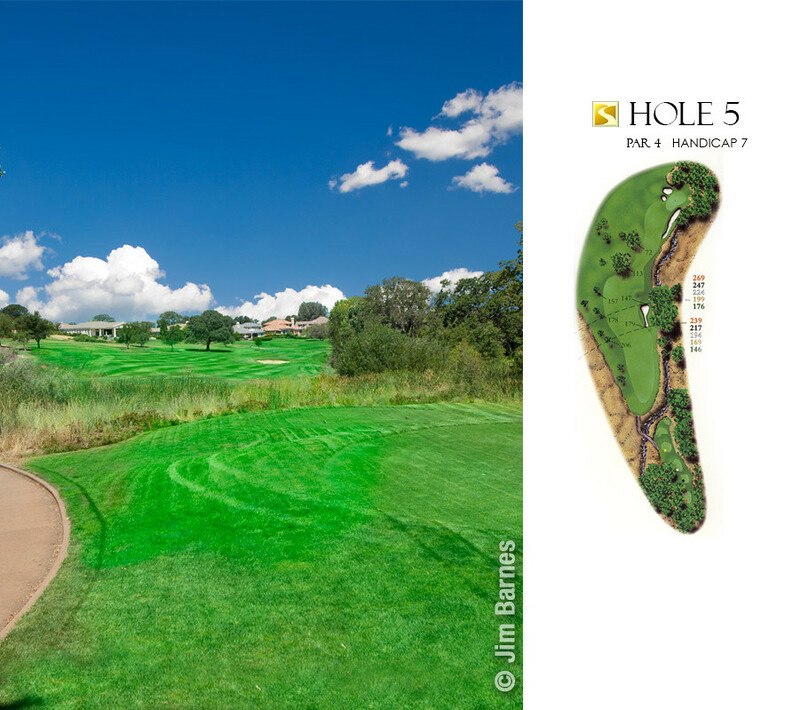 Yet there is even more to Serrano: there are safe schools, right within its boundaries, shopping, services and more than 50,0000 new and mature Heritage Oak Trees dotting the landscape. 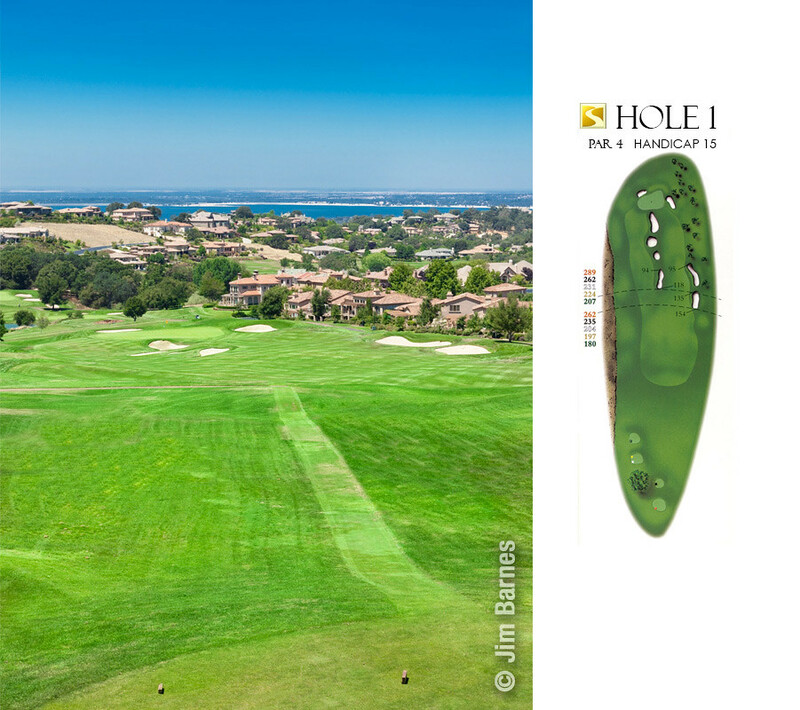 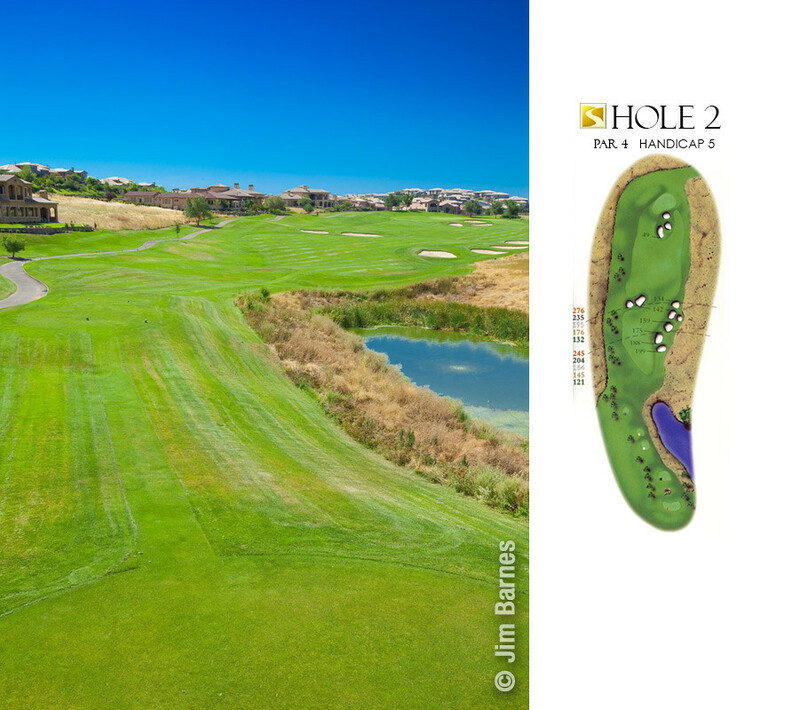 View all 18 holes of the Serrano Country Club Golf Course complete with details on every hole. 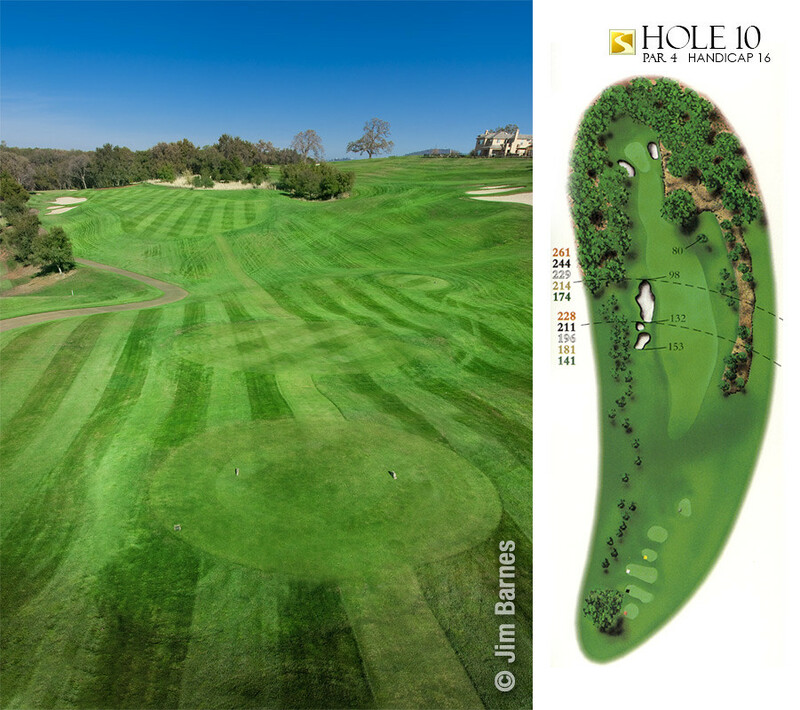 One of the reasons the Serrano Country Club golf course will continue to inspire return visits can be found in the genius of its design. 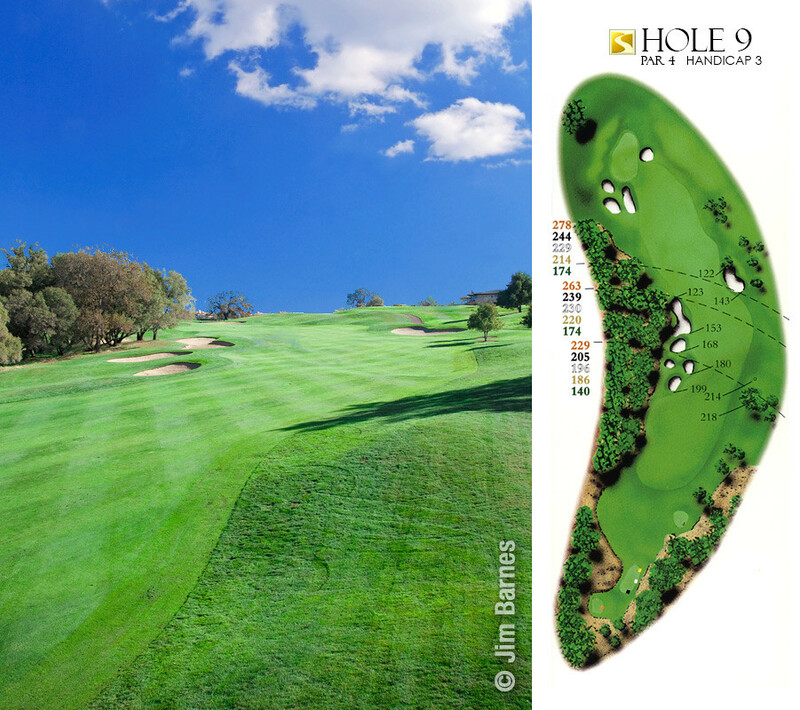 No two games will ever seem identical; each will offer an exciting new set of challenges and satisfaction. 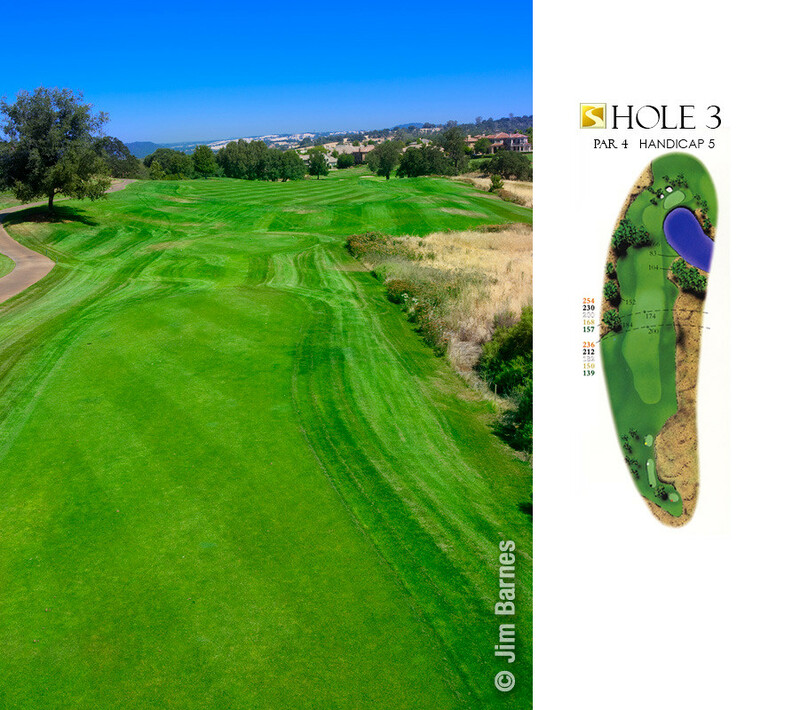 This course offers five distinct playing options, which range from 5,309 to 7,005 yards – making it comfortable enough for beginners, but repeatedly challenging for the most experienced golfers. 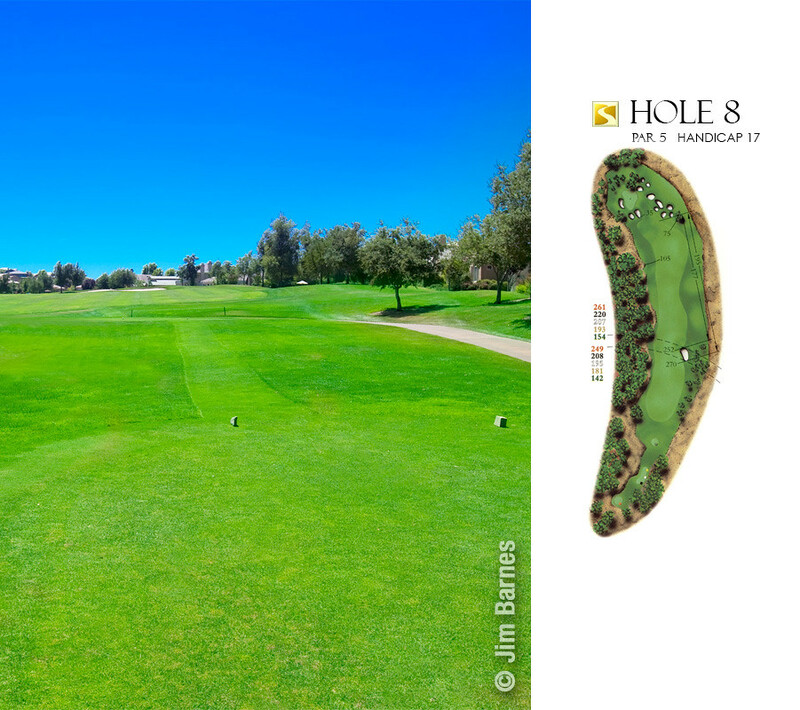 The front nine plays from 2,637 to 3,521 yards. 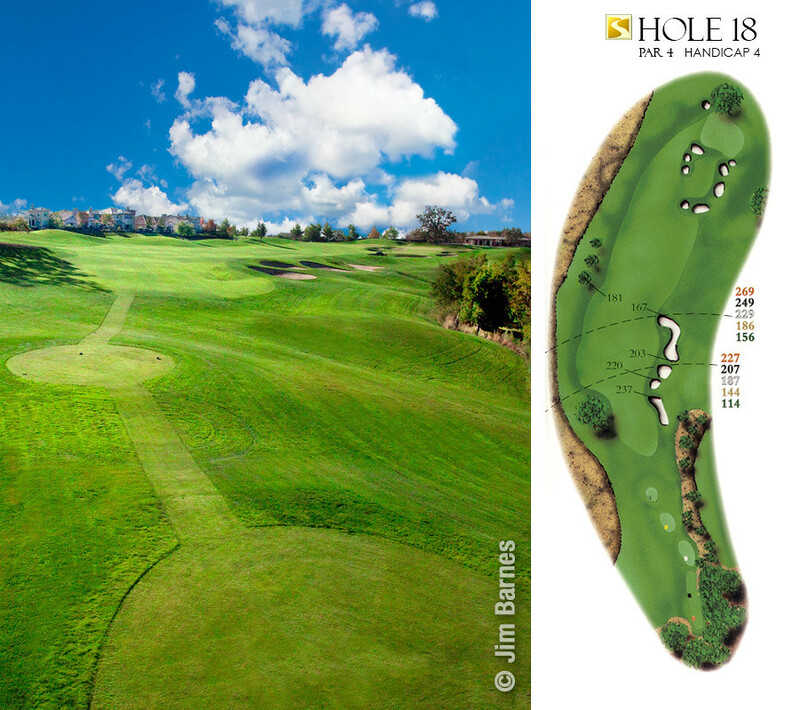 The back nine plays from 2,636 to 3,484 yards—and has the unusual characteristic of including three par-3s, three par-4s and three par-5s. 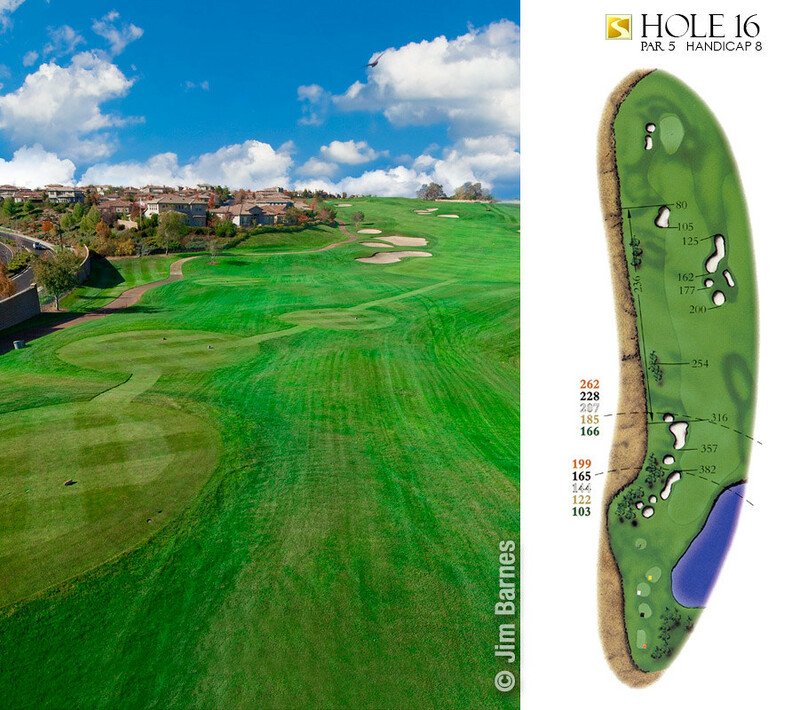 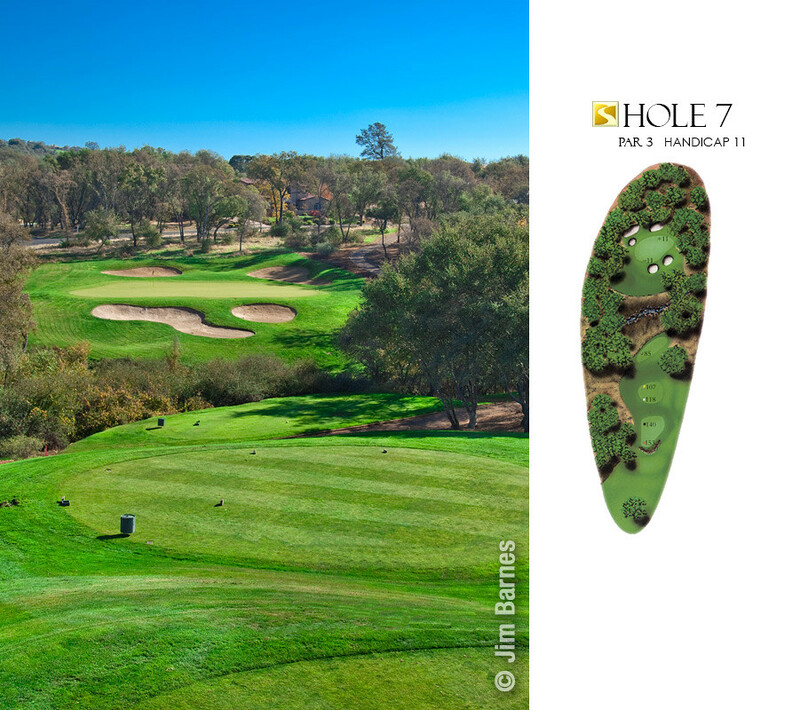 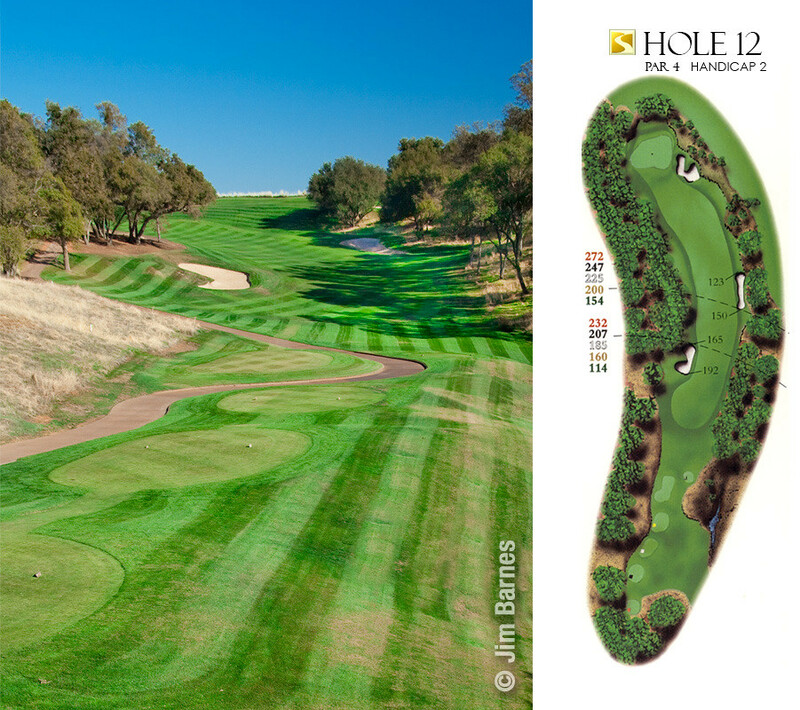 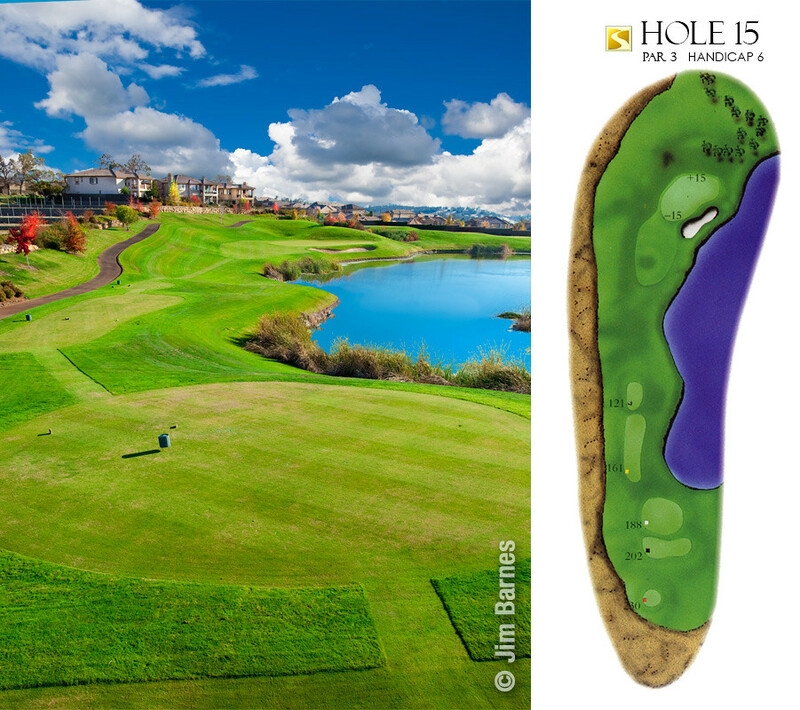 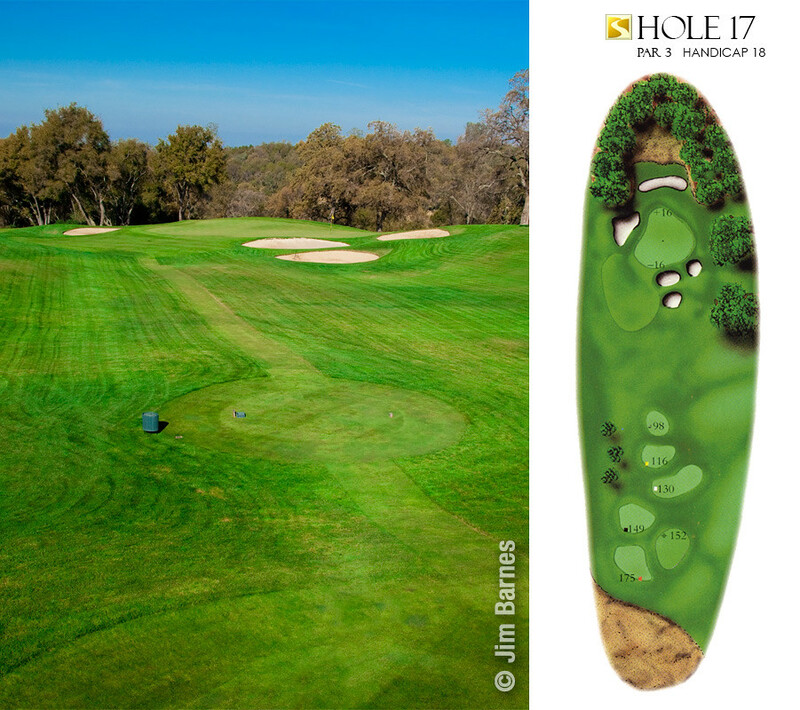 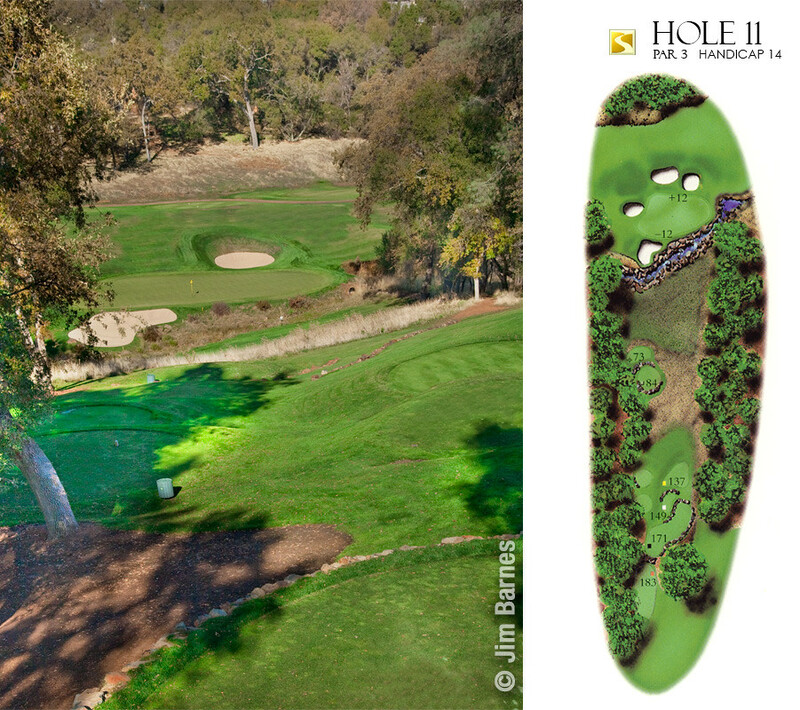 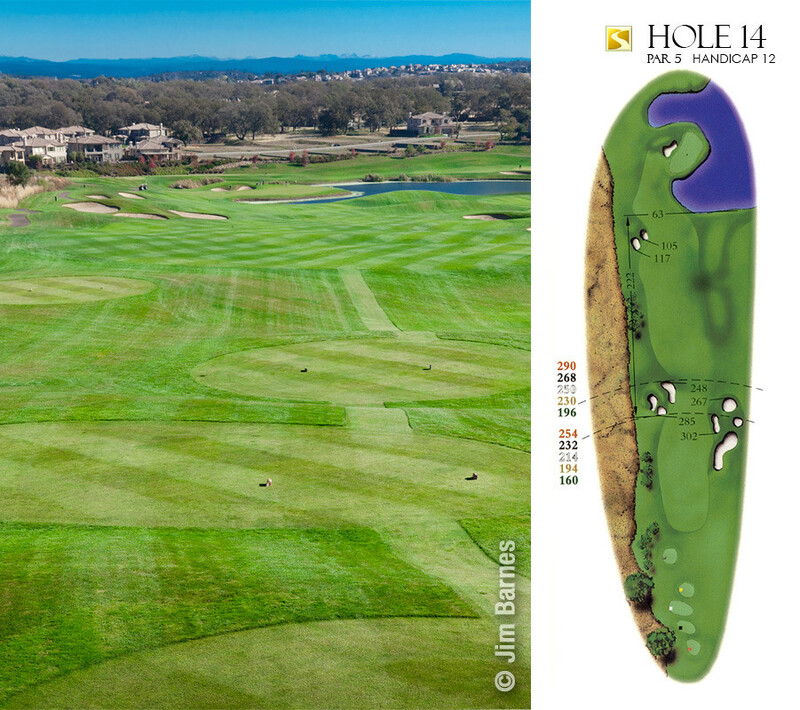 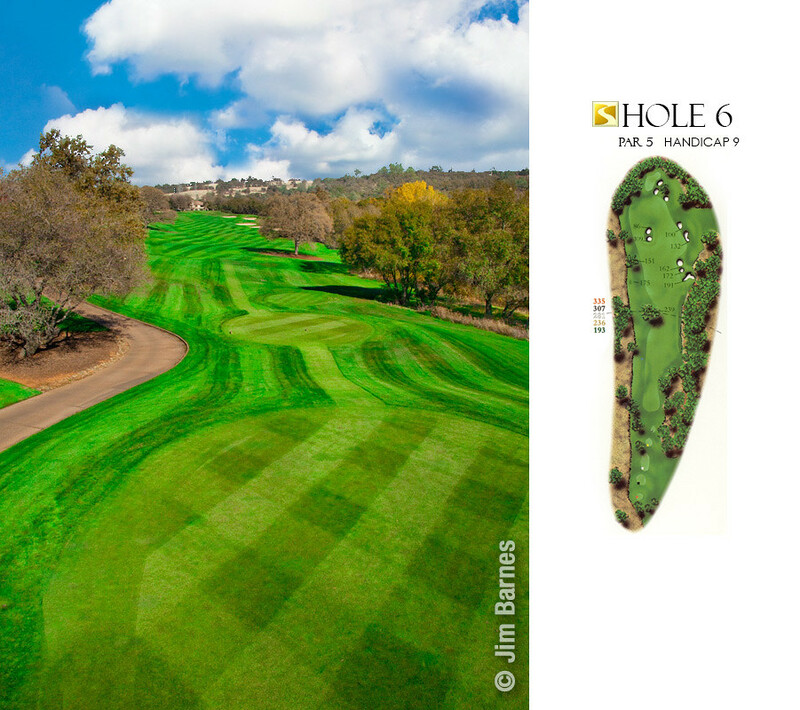 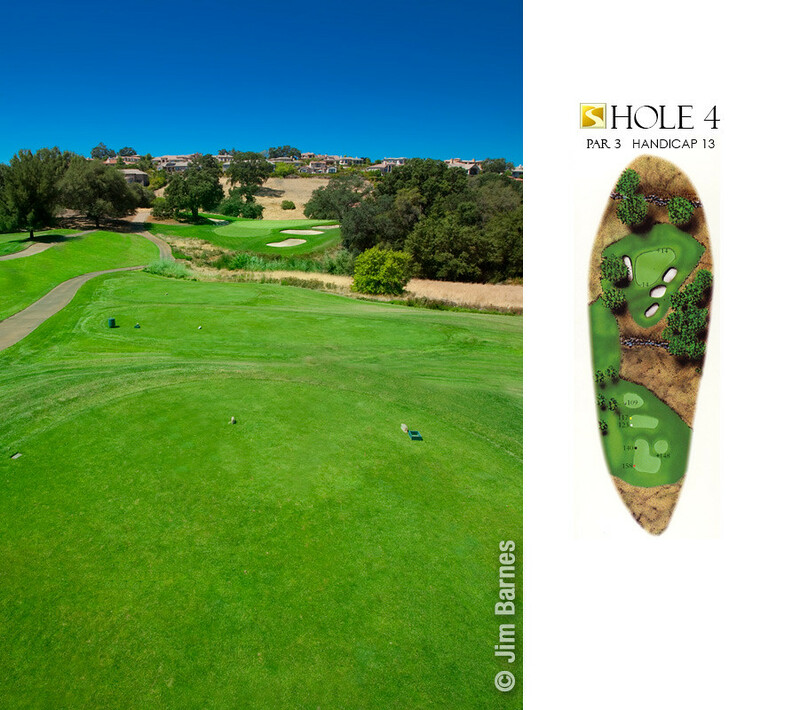 The longest (copper) tee layout provides even the most skilled players with continuous challenges; in fact, the 16th hole, which is 601 yards in length, has the distinction of being one of the longest holes in Northern California.